We’re excited to announce that we will be taking part in this year’s TCT Show + Personalize 2016, taking place September 28-29. 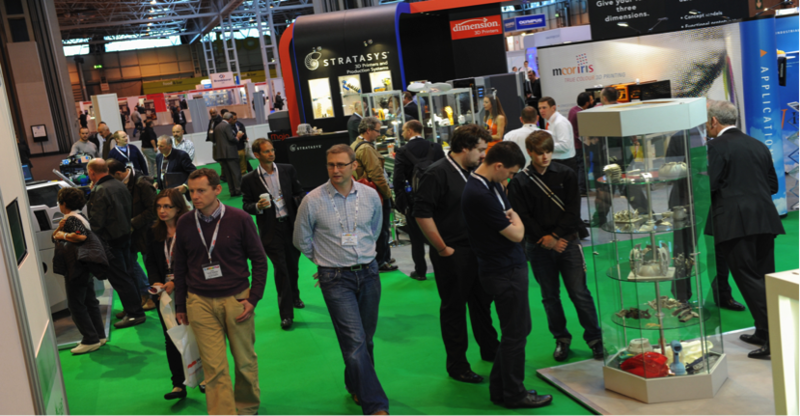 This is one of the biggest events in the world of 3D printing and additive manufacturing. Dimension4 will be joining over 200 other companies, including major industry leaders from around the world, at NEC, in Birmingham, UK. The 21st edition of TCT Show will bring together every organisation that matters in the 3D printing industry, to let them share their knowledge with thousands of visitors from over 60 countries around the globe. Expert speakers, product launches, current and future applications and live demonstrations will give you valuable insights into tomorrow’s manufacturing technologies. TCT is not dedicated exclusively to 3D printing and additive manufacturing. It’s about the adoption of 3D technologies including design and manufacturing softwares, 3D scanning, materials, and moulding and substractive technologies. If you are in any way active in manufacturing, then do not miss this TCT show! The show has a space dedicated to start-ups, the TCT Start Up Zone, where Dimension4 will have its own stand to meet with you. The organisers have announced that it will return even bigger and better for the 2016 edition with the most promising and dynamic 3D printing start-ups of the world. Each one of them will be given the opportunity to present their product or service in front of a judging panel of 3D tech experts. The company with the most potential will be awarded a prize of £10,000. Our co-founder, Nikolas Taillieu will be pitching for Dimension4 on September 28th at Tech Stage. He will be explaining our products and services: D4 Print and D4 Services and his vision of 3D printing technology. We hope to see you there, come find us at booth #H46H. Be sure to follow @Dimension4 on Twitter for live updates.